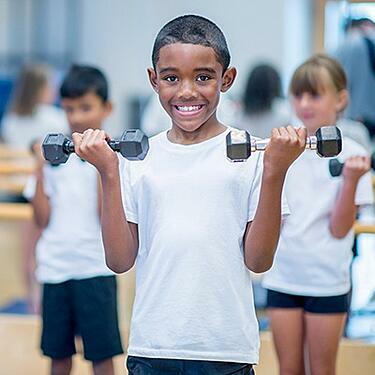 Since CalFit members must be 12 years old to be on the workout floor, we offer FirstStep to 10-11 year olds to get them ready to work out on their own. Does My Kid Need This? FirstStep helps your child get started on the right fitness path and develop healthy habits that can last a lifetime. Learning from a professional personal tainer at a young age empowers your kid to prevent injury and illness, and learn to enjoy exercise! Our Certified Personal Trainers can give your young athlete competitive edge by improving coordination, speed, agility and power in their performance. First Step is offered at all CalFit locations, through the training department. Just contact your local club to get started. 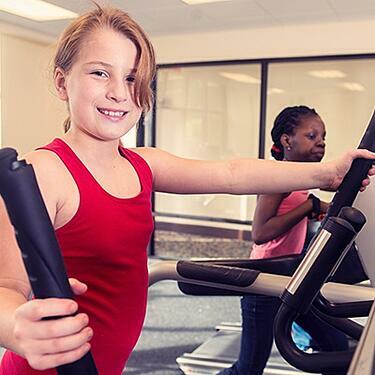 For only $99, your child will enjoy 3 one-on-one hour sessions to get gym-ready and fit for life! 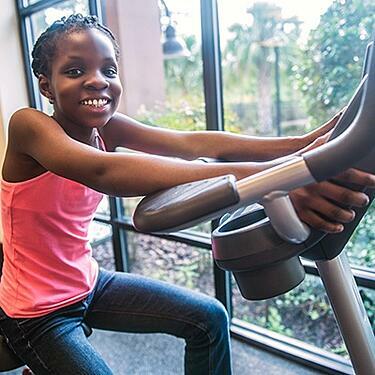 "The staff make me feel very comfortable, knowing that my daughters are in a safe environment at this gym." If you're not yet a Cal Fit member, our child care services just might convince you to join! Other gyms might have "kid rooms", but our childcare facilities include age-separated play areas with indoor and outdoor playgrounds, all of which are fully staffed, safe, and frequently cleaned. We also have rock climbing walls for kids and special swimming pools for the little ones, including outdoor spray gardens! Children enjoy their time at the gym so much that parents have reported working out more often. Kids also enjoy planning their birthday parties here! We invite you to take advantage of our 7-day free trial offer and find out why so many families in the greater Sacramento area make CalFit their club of choice.